Whether you participate in sports recreationally or competitively, TXG graduated compression socks, arm sleeves and calf sleeves can help improve your performance, health and well-being, and recovery. Exercise is beneficial for your health, but in excess or in certain circumstances it can cause more harm than good. Even the most accomplished athletes in the world can fall prey to this. While there’s no magic pill that can prevent pain and injury, wearing compression wear before, during and after exercise is a proven secret weapon for better performance, faster recovery, and injury prevention. WHY WEAR COMPRESSION SOCKS FOR RUNNING? Running (and other forms of cardiovascular activity) involves repetitive movement that creates an impact and vibration on your leg muscles. This can lead to shin splints, tendonitis and fatigue are inevitable after a certain period. By wearing compression wear when warming up, during your exercise session and then after working out there is less stress placed on your joints and tendons and your blood flow is optimised, giving your muscles better oxygen access so you can work out harder, for longer, with less pain afterwards. Excess shock is absorbed allowing you to maintain a steady pace, which is essential when training for time or distance related goals and marathons. In all other forms of exercise that rely on leg movement, similar benefits apply when compression garments are worn. Delayed onset muscle soreness is reduced, as is muscle inflammation and swelling, as the improved circulation means that lactic acid is swept away from muscles so that it can be flushed from the body. 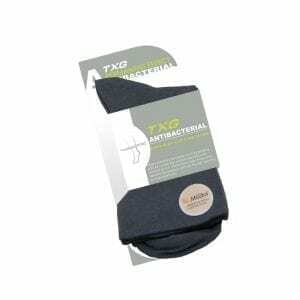 Our TXG graduated compression socks are designed for athletes and sports enthusiasts. Our unique patented X-pattern structure offers strong yet comfortable protection for the ankle area – simulating the benefits of pre-strapping the ankle without the tape. Our socks combine a compression gradient with anatomically moulding, flattened seams and padding for sole pressure distribution to create the ultimate fit. We also use fabric with thermal and hydroscopic properties to prevent overheating. 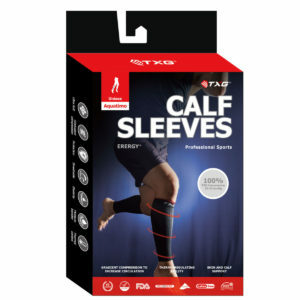 Our TXG Compression Arm Sleeves keep your arm muscles compact while regulating temperature enable you to gain more power from your arms and to help prevent fatigue. Arm sleeves are becoming increasingly popular with athletes active in Basketball, Hockey, Netball, Tennis, Squash, Cycling and other vigorous sports.